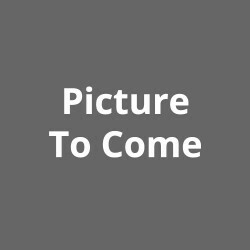 Cornerstone Renewables – Providing Sustainable Green Solutions, Together! Providing Sustainable Green Solutions, Together! How much manure does a cow produce in one day? With the Waste Free Ontario Act now in place , it’s never been more important to be an active member of the Circular Economy. Playing a part by diverting your waste to an Anaerobic Digestion System – converting it into renewable heat, electricity, and a nutrient rich fertilizer all while reducing your waste to the landfill. Within Cornerstone our vast experience and strong knowledge base is available to you. We are a hands on group, that is owned by 2 beef farmers, 6 dairy farmers, a green house operator, an Ag entrepreneur and a research site at the University of Guelph. Cornerstone prides itself on our excellent service, our flexibility, our capacity and our ability to offer our clients safe and sustainable solutions. In addition to the manure from the more than 10,000 cattle we manage on our farms, Cornerstone currently processes approximately 200,000 tonnes per year of organic waste. At the present capacity to process 220,000 tonnes per year, which makes us capable of producing 173 Megawatts of electricity, 200 Megawatts of heat every day, and 100,000 tonnes of feed per year from the fertilizer we produce. At capacity our combined efforts will reduce CO2 emissions in the atmosphere by 400,000 tonnes per year, which is equal to 78,500 cars per year. Located between Stratford and Tavistock, the Anderson family has been operating Athlone Farms since the early 1930’s. Today, the fourth and fifth generations have added a new venture, producing electricity from waste since 2012. 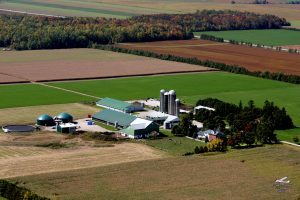 Their dairy farm provides about half of the organic material needed to operate their bio-gas plant, Athlone Bio Power Inc.
Gardiner Farms is a third generation beef cattle farm located in Kirkton, Ontario. We produce high quality beef, and are proud members of the Ontario Corn Fed Beef program. In 2010 we built an anaerobic digester to increase our environmental sustainability. Now in addition to beef we produce renewable electricity. 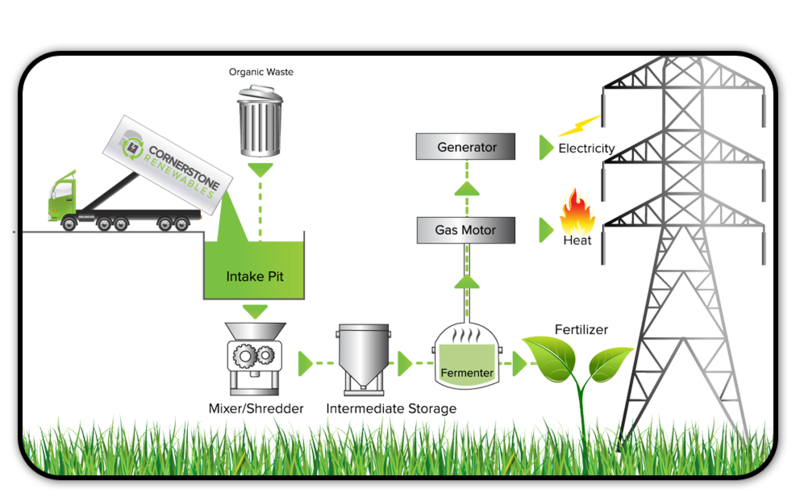 As a member of Cornerstone Renewables we continue to divert organic waste from landfills. Decreasing our environmental footprint, ensures the land and water is healthy for the next generation of Gardiner Farms. Clovermead Farms is a dairy farm milking 150 cows and growing all of the feed for the herd on 475 acres. The farm is operated by Korb, Kelly , Bruce and Deborah Whale and their dedicated staff. Korb is the seventh generation to farm on this land, and his ancestors cleared the trees when they arrived from England in the 1840’s. 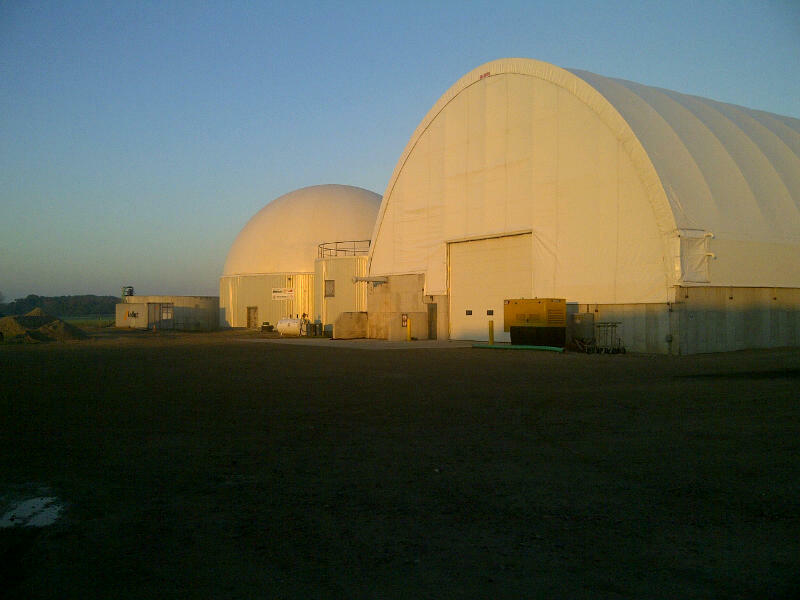 The Anaerobic Digester began operation in 2012 and is able to produce 250 kW/h. The Digester produces gas from both on farm and off farm waste, and the outputs are used for bedding and to fertilize the fields. Clovermead Farms strives to produce the highest quality milk in a sustainable, and profitable way, and enjoy ourselves doing it!! Greenholm Farms Limited has been a family-owned and operated business since 1843. 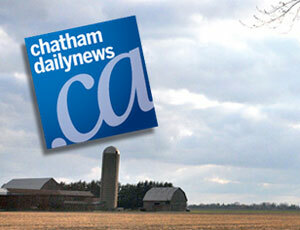 With six generations behind it, it has evolved into a modern dairy and cash crop farm operating just north of Embro. Our working team at Greenholm Farms consists of Gord and Laura Green and their son Dave Green as owners, as well as three full time employees and one part time employee. Greenholm Farms milks 210 Holstein cows with approximately 450 cattle in total. Our farm also raises red veal from bull calves grown from our dairy herd. We manage approximately 700 acres, growing a variety of crops including; corn, soybeans, wheat and hay. 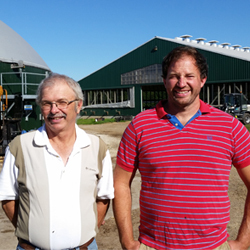 Our most recent investment is our 250 kilowatt anaerobic digester built in 2012 which is located on our home farm. 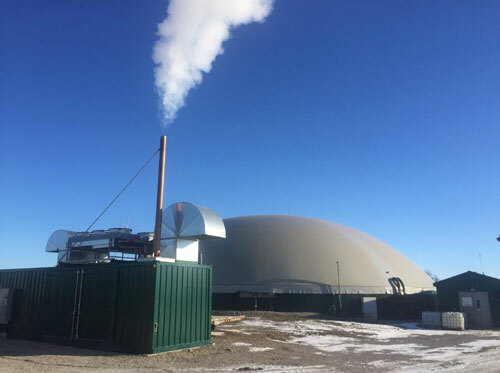 This anaerobic digester utilizes organic matter found in cow manure as well an unwanted, organic waste received from various industries to produce methane gas, which then can be transformed into electricity. Greenholm Farms has had the opportunity to witness the evolutionary process of our farm’s expansion from a single, 50 cow dairy barn to a modern 210 milking cow operation, veal production and anaerobic digester. We are ambitious and hopeful for the next years to come with our family-owned farm. We have embraced this business as not only an income, but as a way of life. 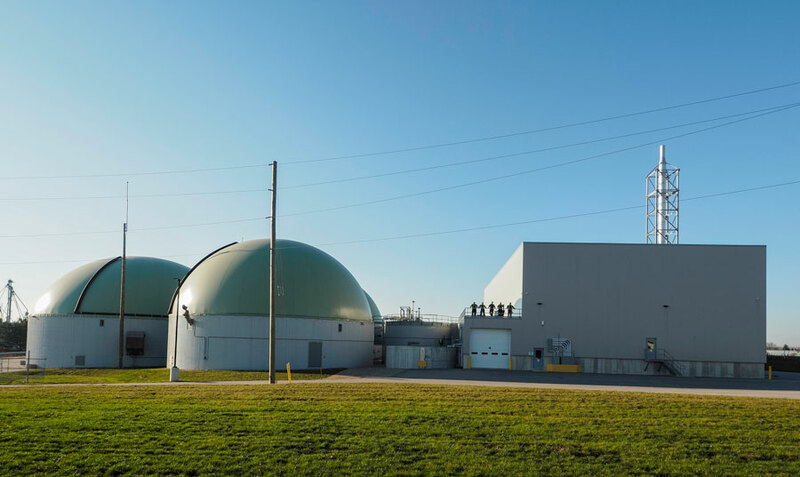 We pride ourselves in growth and innovation by paying it forward to the next generation with bold and purposeful endeavours like our anaerobic digester. By involving ourselves with this new venture, it creates more opportunities for the upcoming generations to come, as well as possibilities for greener energy solutions for all. We are Eilers Farms of Ontario Incorporated. Established in 1983, this family farm is owned and operated by Gerhard, Tanja, Stephen, and April Eilers. The farm is a mixed hog and cash crop operation. Along with a 200 kW solar project, our 500kw biogas plant was commissioned in May of 2015. 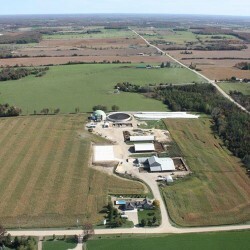 Located in Crediton, Ontario, our digester uses on and off farm organic material. Our bi products are separated solids; which are used for bedding, and digestate; which is used as fertilizer on our land. 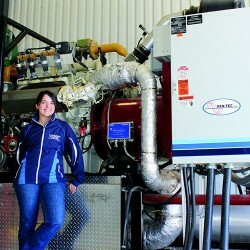 Marl Creek Renewables Inc. is located just west of Elmwood Ontario on a Beef Farm of Carl & Marcia Frook & Family. Marl Creek Renewables is an on- farm biogas facility that utilizes the manure produced from the beef cattle and also has the capabilities of receiving material from waste generators that could be a solid or liquid waste product that is heat treated and processed in the digester. 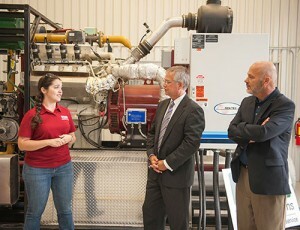 Marl Creek Renewables Inc. has been operating since August 2012 and primarily produces biogas for the production of electricity which supplies the local electrical grid. 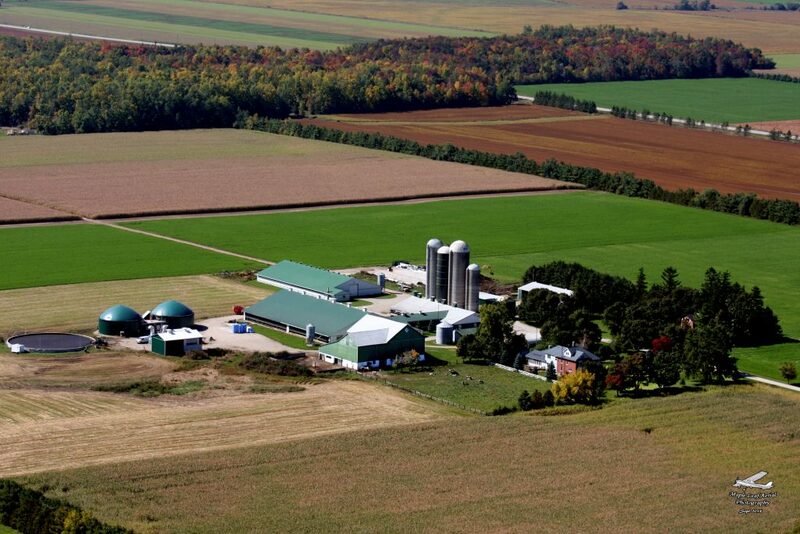 Donnandale Farms is a multi generational farm established in 1914 that milks 300 dairy cows north of Belleville Ont.. It is owned and operated by Mark and Jane Donnan along with sons Tyler ,Aaron , Eric Donnan and 3 full time dedicated employees. We crop 1700 acres of land to feed the herd along with some cash crop. In 2012 a 500kw digester was built and was expanded to 750kw in 2015. This provides diversification along with helping our farm be sustainable into the future. The digester is operated under the name Ridgeline Farms and processes off farm waste as well as on farm. 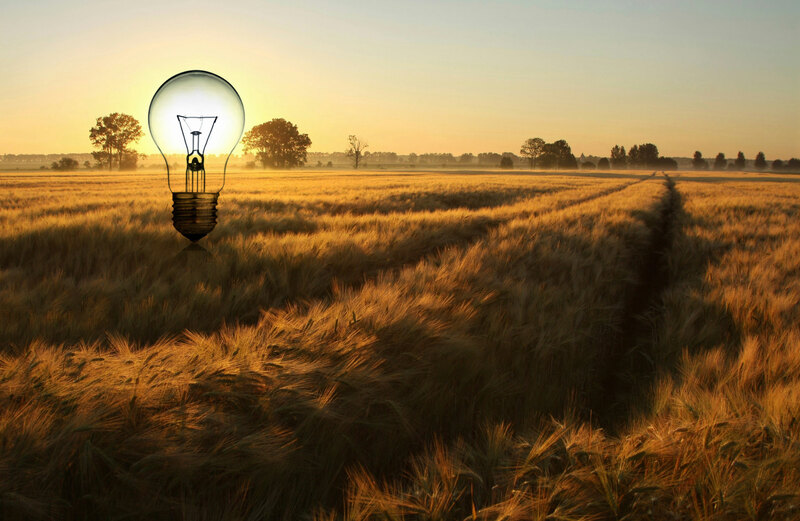 Green energy crops help to balance biogas demands. The separated digestate is used for bedding on the farm and excess is sold off farm with the liquid portion being used as fertilizer. 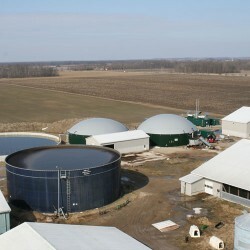 Seacliff Energy Corp is a farm-based anaerobic digester facility located at 1200 Mersea Rd. 1 in Leamington Ontario easily accessible from Hwy 401 exit 48, Hwy 77. The facility processes organics into biogas which powers a generator to produce 1.6 megawatts of electricity for the grid 24/7 as well as heat for the facility and adjacent 7 acre organic greenhouse farm. In addition, a by-product we call digestate is sold as a CFIA registered fertilizer used as a replacement to commercial farm fertilizer. Our facility can accommodate both liquid and solid organic waste streams with indoor reception capable of handling the largest semi dump trailer. We are equipped to unload bulk or pallets of material. State of the art separation equipment facilitates the receiving of dirty waste including cans and 10 litre plastic pails. Our Environmental Compliance Certificate allows for a wide range of organics from grocery store waste, processing waste, DAF, FOG, to slaughterhouse by-products and more. Receiving hours are Monday thru Friday, 6:30 am to 5 pm. 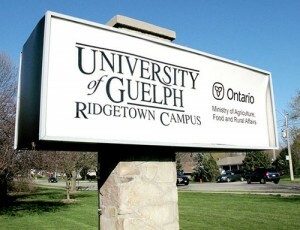 The University of Guelph,Ridgetown Campus CARES biogas plant is a research, education, technology transfer, and rural community development facility located in Ridgetown, Ontario. Their 250 kW/h PlanET Biogas anaerobic digester was commissioned in 2013 and is operated and managed by Kim VanOverloop, along with a team of dedicated researchers, technicians and students. Biogas is produced using manure from the campus Dairy Research Centre, crops residues and locally supplied food industry waste. Outputs are used as a fertilizer amendment on the campus farm and locally on neighboring farms. We arrange the collection, hauling and processing of your organic waste. Receiving your waste by bulk loads, palletized, totes, roll offs, bins, tubs etc. You receive a monthly quantitative report outlining your active contribution to our province’s improved environmental sustainability. We are able to provide you a Certificate of Destruction where applicable. 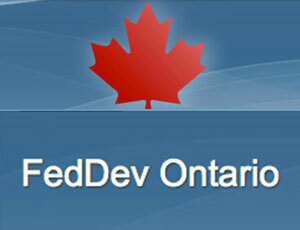 Diverting your waste from landfill is environmentally beneficial, and is in keeping with the Free Waste Ontario Act. 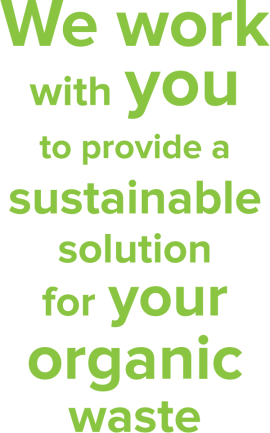 We support you in providing risk management and peace of mind, knowing that your organic waste is being converted into electricity, heat, and nutrient dense fertilizer that is free of weed seeds and pathogens. Leaving you time to focus on your core business. We can receive your organic waste by bulk loads, totes, roll offs, bins, tubs etc. <h3>Stage1</h3> <p>Receiving organics and<br /> manure and mixed them<br /> together. </p> <h3>Stage 2</h3> <p>Heated and stirred the<br /> mixture is processed for 30<br /> to 9 days in an oxygen free<br /> environment. </p> <h3>Stage 5</h3> <p>The digestate material is<br /> stored and used as fertilizer<br /> to grow crops. The process kills pathogens removes odours, and captures greenhouse gases from the input material. By choosing to work with Cornerstone Renewables, you have chosen to reduce your impact on the environment. Increasing the environmental sustainability of the food industry will ensure your competitiveness and long term viability. Find out how many Tonnes of organic waste you can divert and can contribute to the health of our global environment with your Report Card. The Average Cow Produces 40kg of Manure Per Day, which is able to create 2 kWh of Electricity. 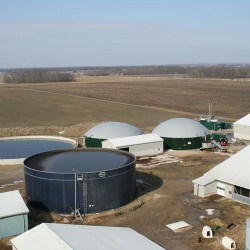 Anaerobic Digestion reduces our farms environmental footprint by 30%. We are able to produce food sustainably, for the long term by creating electricity, heat, fertilizer and animal bedding from the system. Organic Waste accounts for 50% of the waste generated in Ontario. That is 3,000,000 tonnes or 300,000 full garbage trucks per year. Diverting all of Canada’s organic waste from landfill to anaerobic digesters would result in a 37 megaton reduction of CO2 in the atmosphere per year. 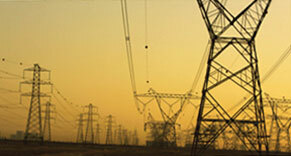 Providing Sustainable Green Solutions, Together!! !